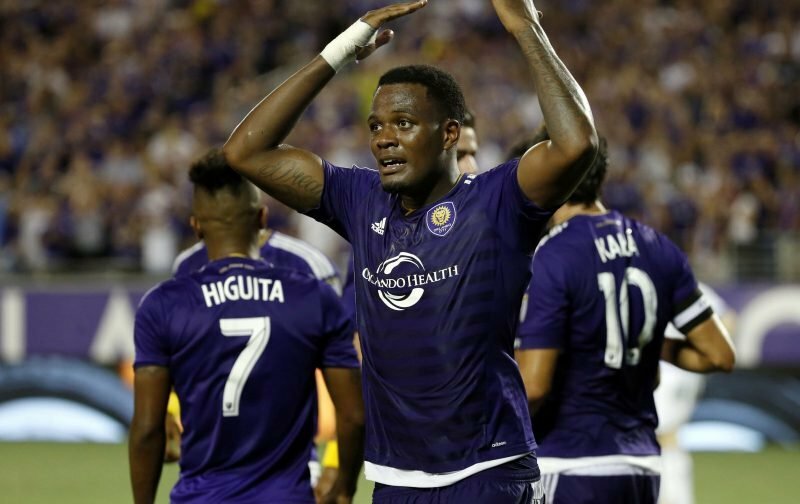 Premier League outfit Everton look set to be preparing for life after Romelu Lukaku by turning their attentions to Orlando City striker Cyle Larin, according to The Sun. Belgian international Lukaku has in recent weeks rejected a new deal at Goodison Park, which may well see the likes of Chelsea and Manchester United step up their interest in the summer, with the 23-year-old currently the Premier League’s top-scorer with 20 goals so far. And his departure would leave a huge hole in the Toffees frontline, but manager Ronald Koeman looks to be planning for the future already by having sent scouts to keep tabs on 21-year-old Larin. And they are sure to be impressed with what they’ve seen, as the Canadian international netted 14 goals in 32 MLS games last year, to add to the 17 he scored in his first professional campaign the season before. Larin has also started this year in excellent fashion, netting the winner in their 1-0 win over New York City FC on March 5, before firing a brace in Orlando’s 2-1 home success over Philadelphia Union last week. With Turkish giants Besiktas, as well as Championship sides Brighton and Nottingham Forest, tracking the forward, Everton will have to act fast to get a deal done for the 21-year-old, with it reported that it’ll cost £2 million to secure Larin’s services. With Lukaku’s future looking more and more likely to be away from Merseyside, Koeman will have to bring reinforcements through the door, and Larin could be one striker on his way to Goodison Park this summer.